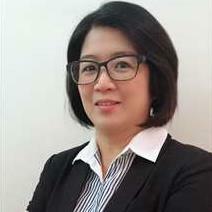 My name is Lok Lai Kam, Real Estate Negotiator from Full Homes Realty Sdn Bhd. I specialize in residential in Putra Heights. I provide sub-sale, rental and auction service to my clients. What results do I deliver to my clients? 1) Provide property investment analysis and advice.2) Protect the interest of my clients in a fair manner.3) Provide information in regards to market value, indicative bank value, investment strategy and legal process by working closely with a team of professional bankers, real estate negotiators and lawyers.4) Provide auction knowledge and services to buyers as an alternative channel to buy lower than market and/or bank value. Why am I different from other Real Estate Negotiators? 1) I have years of experience in property investment. To date, I have invested in several properties and collect passive income through rental.3) My investment strategy is buy-then-rent. I study the area for rental demand, rental return, cash-on-cash return and balance sheet effect before decide to purchase. Through the experience gained, I am able to provide my personal advice to my clients whenever required. Kindly contact me if you need further information. Thank you and Happy Property Investing! !Kindly take note:1) The information in the advertisement is provided as accurate as possible based on the owner’s, owner representative’s or owner intermediary’s explanation. Potential buyers should use this information cautiously and decide based on his judgment.